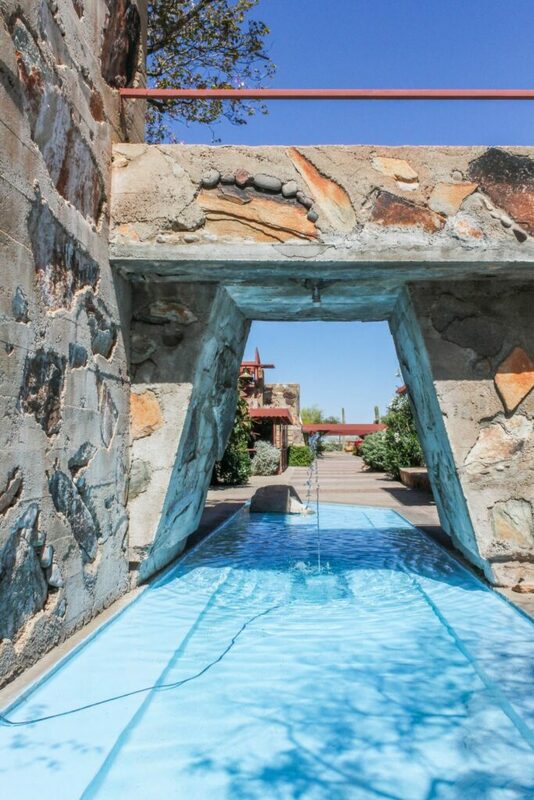 With family and friends in town, great weather and time off, now is the perfect time to explore Scottsdale’s only National Historic Landmark, Taliesin West. The former home of Frank Lloyd Wright would serve as his winter residence for him, his family and team of apprentices in order to get away from the frigid Wisconsin temperatures. Visiting the sunny desert from 1938 until his death in 1959, this year marks 80 years since he first staked his claim in Scottsdale, beginning his Arizona legacy. Whether you’ve visited before or not, the historical site is celebrating by sharing little-known facts and can’t-miss features of the famed desert escape. Tours are offered daily and start at $35 for adults, $25 for students and $19 for youth. 1. Wright’s Aluminum Bathroom: Tour guests are allowed access to Mr. Wright’s private spaces, including his personal bedroom. Don’t miss the opportunity to peek into the adjoining bathroom that is made from sheets of aluminum, which was a new material to Wright. Embracing the spirit of innovation at Taliesin West, Wright experimented with the material to create a bathroom that still feels modern today. 2. Ancient Petroglyphs: Several ancient, petroglyph-adorned boulders were placed throughout Taliesin West by Wright who was mystified by their historicity and continued spiritual significance. The petroglyphs are currently being studied by an archaeologist. 3. 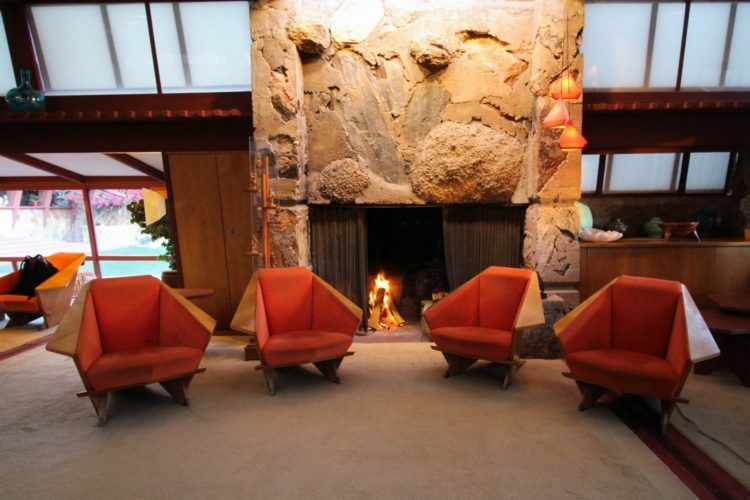 Concrete Fireplaces with Vertical Logs: Adding to the camp-like atmosphere of Taliesin West, there are desert masonry fireplaces throughout the property. 4. Original Garden Sprites: Partnering with Italian sculptor Alfonso Iannelli, Wright designed the Sprites for Midway Gardens in Chicago, which was demolished in 1929. Many don’t know that few original Sprites were spared, two of which are on display at Taliesin West. 5. An Apprentice’s Hammer Stuck in Masonry:If you look closely at the desert masonry near the Frank Lloyd Wright Store, you’ll notice something is out of place. There is a hammer built into the entry tower, left behind by an apprentice. 6. Fire-Breathing Dragon:Shortly after Frank Lloyd Wright’s death in 1959, apprentice Aaron Green presented Olgivanna Lloyd Wright with this bronze dragon, which was originally intended to be used as a water fountain. She remarked, “No respectable dragon is going to spout water when it can breathe fire!” So, she had the apprentices perch the dragon on top of a stone stele outside of the Kiva and connect it to a gas line so it could breathe fire. The Dragon breathes fire for visitors to Taliesin West’s Night Lights tours. 7. Original Art by Clare Boothe Luce: Famous American author, politician and journalist Clare Boothe Luce and her husband Henry Luce, co-founder and editor-in-chief of Time, Inc., were frequent guests of the Wrights. 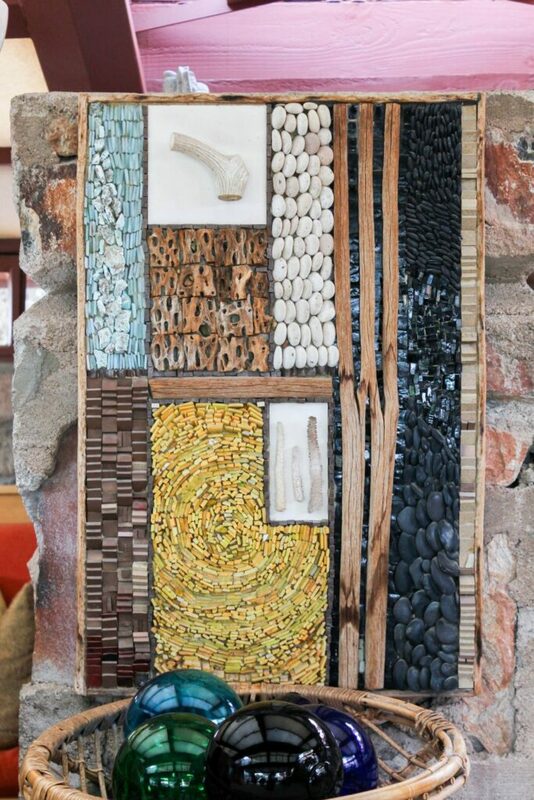 Mrs. Luce created two pieces of art, mosaics inspired by the sun and the moon, that are displayed in the Garden Room. 8. The Citrus Grove: Many guests don’t realize there is an on-site citrus grove that Wright and his family would harvest in the winter. The citrus trees continue to thrive and bear ripe oranges, lemons and grapefruits. 9. Original Sculptures: As you explore Taliesin West, you’ll see many original bronze sculptures throughout the property that were created by Heloise Crista, an apprentice of Frank Lloyd Wright. Crista came to the Fellowship as a dancer, not an architect, and her close relationship with Wright inspired many of her works. 10. 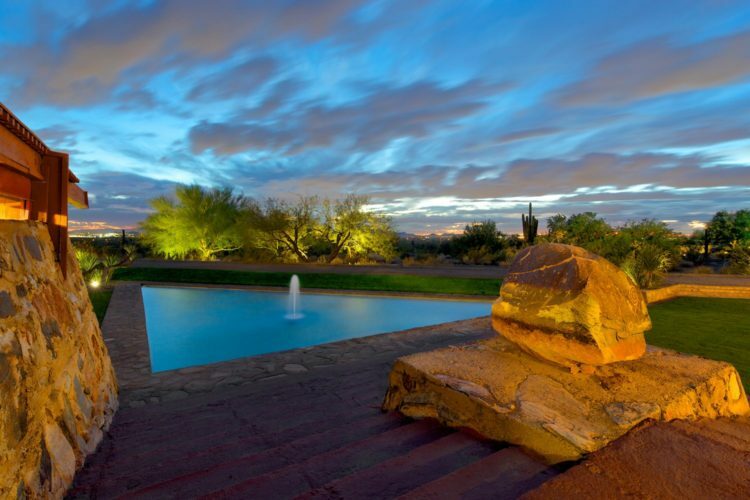 Pools of Water: In total, there are seven pools of water onsite at Taliesin West. While water may seem out of place in the Sonoran Desert, it comes from a well onsite that Wright had dug 486 feet into the ground. New Foodie Experience Highlights the Flavors and Luxuries of L.A.